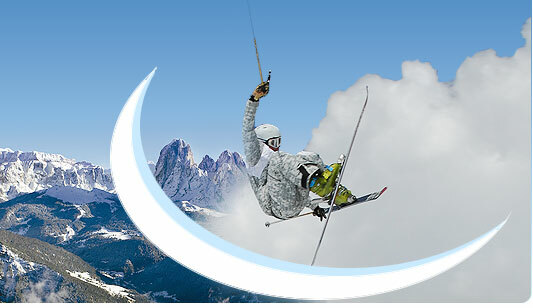 The Sella Ronda is the most recognized ski route of the Dolomites. 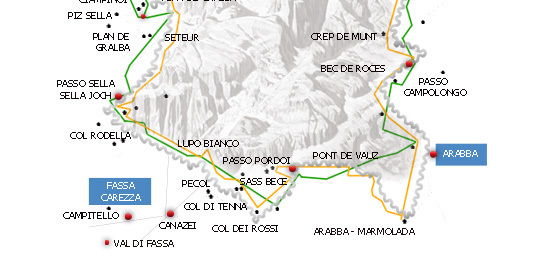 The Sella Ronda can be accessed directly from both Colfosco and Corvara (Val Badia). You take the ski lift that goes to Gardena Pass and then get on the run that takes you to Dantercepies, in Selva di Val Gardena. 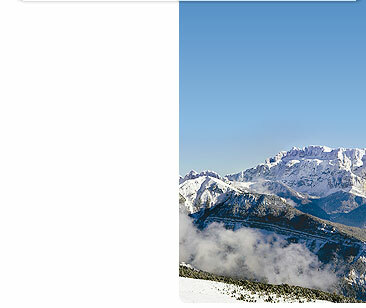 The cable-car Ciampinoi is located in the center of Selva and this will take you to the top of Plan de Gralba, where you will then pass through the well-known “boulder city” to get to Sella Pass, followed by a short decent to Col Rodella which offers a spectacular view of Val di Fassa. If you keep going along this piste you’ll come to the Lupo Bianco (white wolf). At this point it may be time for a break and what better place than in one of the many lively mountain huts along the way. From Lupo Bianco (which happens to be a beautiful lake in the summer), following the road, you will then take the gondola that goes directly to the ski center of Canazei, then you go down a small piste and there you’ll find the next chairlift, which happens to be quite comfortable, that will take you to Sass de Becè. Passo Pordoi is visible to the north. Follow a long piste down to Arabba. Once you’ve come to the Sass de Becè hut the piste becomes much steeper. For those who are not confident skiers there is an alternative route located at the first cross section that is shorter and more gradual. This piste ends at the road. At times you may find it a bit crowded due to all the skiers arriving from Arabba and taking the chairlift to Passo Pordoi, to get back to Arabba. It is highly recommendable to keep up your speed here because the piste is quite level to get to Arabba and usually only takes about 10 minutes. Once you’ve arrived in Arabba you can decide to go up to Porta Vescovo as well. In order to continue the Sella Ronda loop it is advised to take off your skis because the lifts that go to Corvara and Colfosco via Col de Burz are located on the other side of the road. After a small slope near the Bärhütte you will catch a stunning view of Arabba, Porta Vescovo and Marmolada. You continue along to get the lift behind Passo Campolongo that takes you to Crep de Mont on the way down to Corvara. Here you can choose between two pistes, the red one goes through the woods but they both lead to the connecting lifts for Colfosco where you originally departed from.